The Cologne Cathedral is a Roman catholic church and one of the architectural masterpieces of mankind, and is a World Heritage Site. It is Germany's most visited landmark and the symbol of the metropolis on the Rhine. 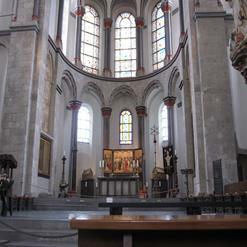 One of the treasures of the cathedral is the High Altar, which was installed in 1322.